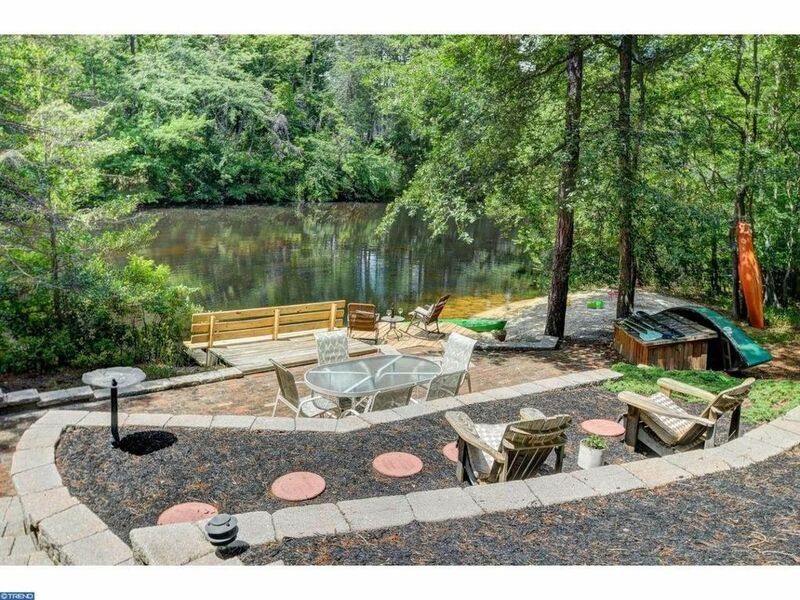 Custom LAKEFRONT Cape Cod nestled on a private 3 acre wooded lot with a private beach in prestigiuos Braddocks Mill Lake. This home will appeal to the fussiest buyer with updates and upgrades throughout. This home is light, bright, and beautifully appointed with soft, neutral colors throughout. The formal living room features a wet bar area and impressive fireplace ideal for social gatherings. The gourmet kitchen is a chef's delight complete with a commercial style Garland stove, custom cabinets, granite counter tops, stainless steel appliances, and ceramic tile flooring. Wake up every morning to magnificent views of the lake from your master suite, which has 2 walk-in closets, and an AWESOME master bath with custom open shower. The over-sized family room boasts an impressive brick fireplace and french doors leading to the Sunroom which overlooks the back yard resort. Like a vacation right at home, the outdoor entertainment area features a three tier paver patio, heated in-ground gunite pool, an outdoor kitchen with hot and cold running water, state of the art 6 burner Weber barbecue grill and smoker, refrigerator, stainless steel prep table and concrete eating table. This home even features it's own lakeside sandy beach! The full finished basement adds an additional entertainment area, with half bath, gym and storage area. Other features include a newer roof, windows, 2 zoned heat and air, hot water heater, and windows. Don't miss the opportunity to tour this amazing home!